Their program is a full day of presentations, featuring the best of web development from the Mid-Atlantic and from around the world. Our CFP closed Feb 22 with almost 200 submissions! 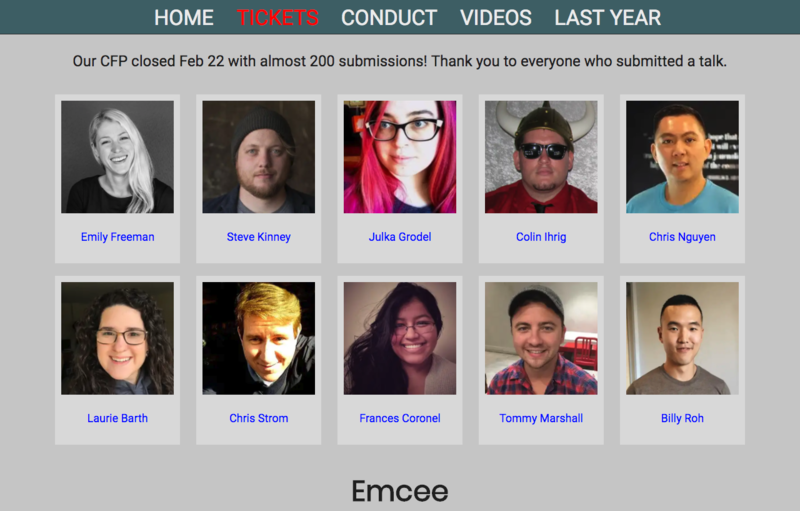 Thank you to everyone who submitted a talk. Progressive web apps 101 by @fvcproductions ! Thank you to our speakers! And thank you to our emcees! Y’all. @fvcproductions’s talk on PWAs is AMAZING. Ask this woman to speak at your conference. Now. 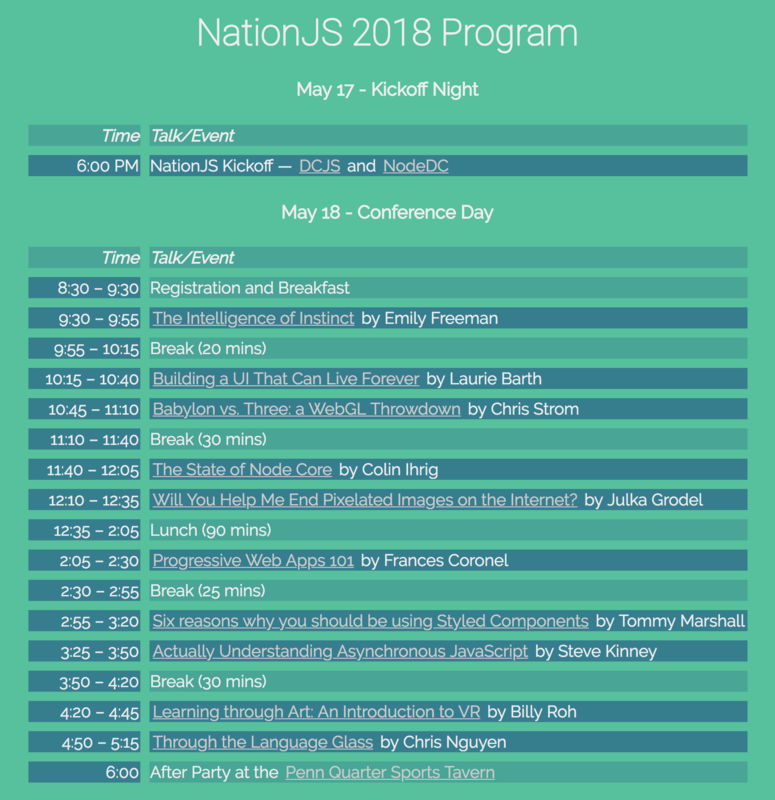 This was presented at NationJS in DC on May 18th. Throughout the course, we will explore the wide array of companies that have already benefited from the many enhancements PWAs offer and I will walk you through the steps of transforming an existing website into a Progressive Web App from the bottom up.